The lightweight counterparts of Google's popular apps are getting an update which adds some additional functionality. 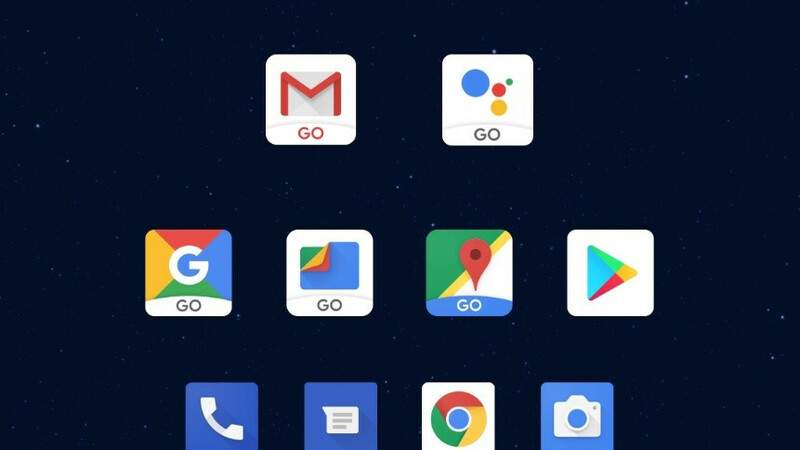 The apps from the Go group are meant to go along with the Go version of Android 8 and are designed for devices with limited storage and memory but can be used by anyone that wants to save some resources. Go apps take up around 50% less storage and can work with devices with 1GB or less memory. The update for YouTube Go will let users browse through YouTube videos they've downloaded to their device straight in the Gallery app. Once they choose a video, however, the YouTube Go app will open to play it. This functionality is not live yet but according to Google it will be added before the end of the year. Google Maps Go will finally get a core functionality of any navigation app: turn-by-turn voice guidance. There are more than 50 languages available, but you'll have to manually add the one you want by downloading Navigation for Google Maps Go. Google Go allows users with limited mobile data to make searches more efficiently and get the latest news without having to click through many pages. The latest updates will make the app able to read out loud pages you have opened on your screen. The feature will be available in 28 languages and will help senior users, that often get stuck with older devices, the ability to easily receive the information they're looking for, without having to read tiny letters. Get used to hearing Go(basic) and full (premium) apps in the Google realm. Imo we are looking at the dawning of a new era in options and limitations of not only hardware but software and apps that run on them. Just my guess.